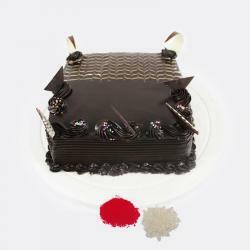 Product Consists : 1 Kg Square Pineapple Cake along with Free Roli Chawal. Brother is one of the most precious gift sent by God for all Sisters. If you are looking for a blissful gift for your dear than this is a hamper that will make him smile from the core of the heart. This is a hamper overloaded with auspiciousness and happiness. Pineapple Fruit Slices One Kg Fresh Creamy Cake and there is nothing more exhilarating than a gift of this Lip Smacking and Classy Pineapple Flavoured. 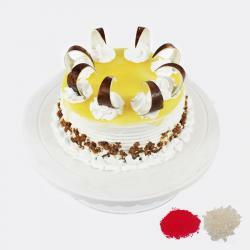 The Cake is enriched with Sweet Pineapple Cream and its decorated in a very attractive square pattern. 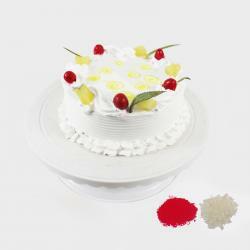 As Pineapple Fruit Slices Garnishing With Red Cherry TouchThis will startle them completely. Send this on any auspicious occasion or festival. 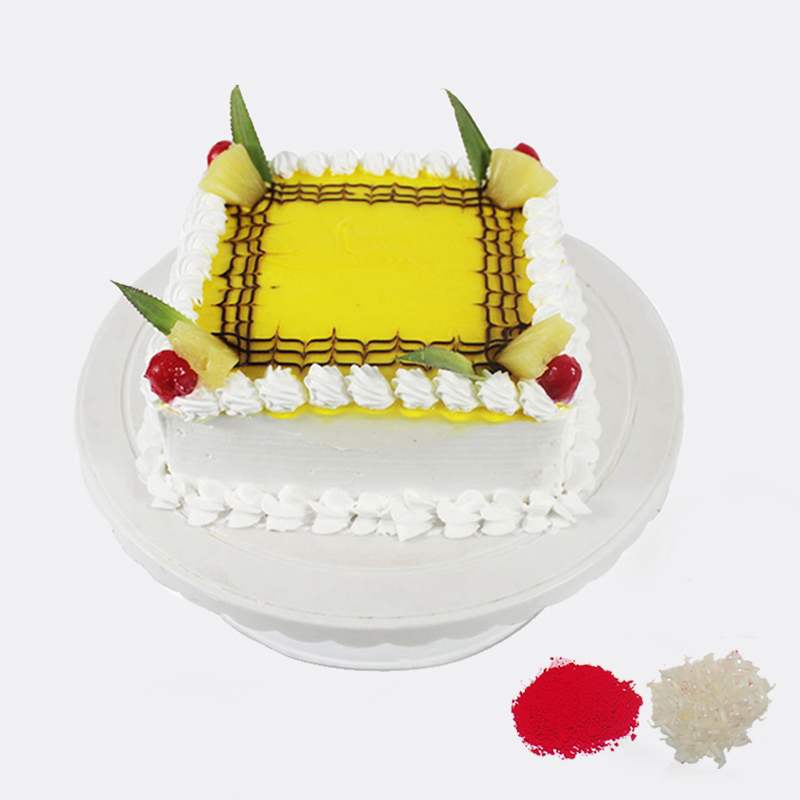 Product Consists : 1 Kg Square Pineapple Cake along with Free Roli Chawal.